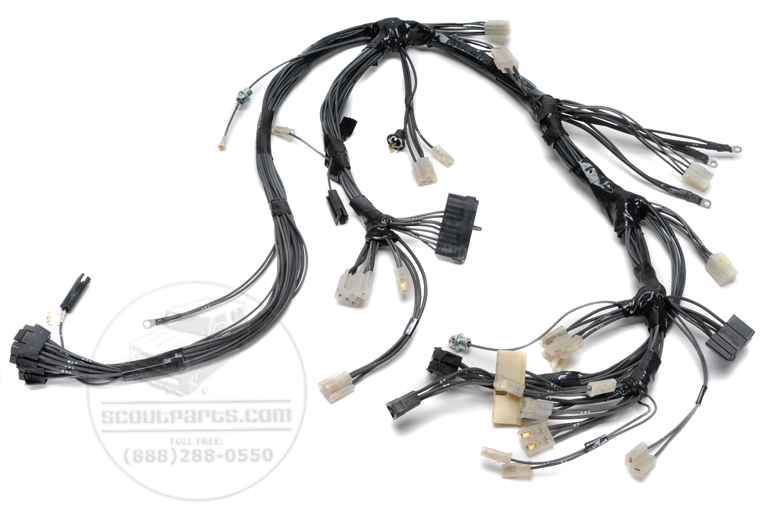 Also go to product number SP18354>>>>>This is a brand new wiring harness to fit Scout II from 1971-1978. This is the harness that fits under the dash and serves the gauges and switches. This is NOT a box of wires that you struggle to make fit. This is an exact reproduction of the original complete harness that the IH factory made. Please call us if you need help identifying yours, or order a line setting ticket (#13536) to be sure. 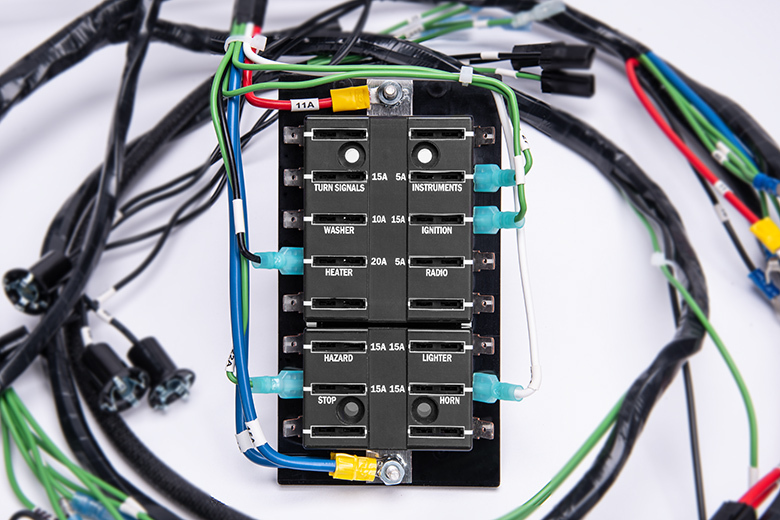 One fire wall connector is no longer available, We include a removal tool so you can remove a connector from your old harness and place it on the new Harness. Scout II Engine Wiring Harness - Gas Engines.